Samar Habayeb was studying Architectural Design at Tufts University when her mother and aunt decided to retire from Silsal. When she was offered the job, she immediately shifted gears and completed a master’s degree in Ceramics Design at the University of Cardiff. 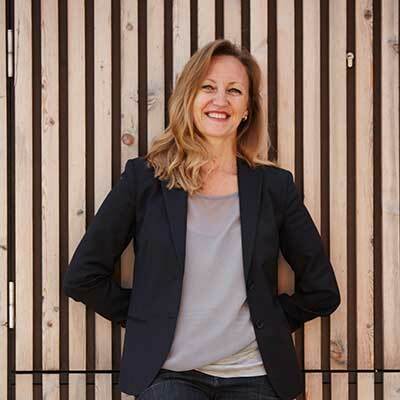 After interviewing her mother, I had the pleasure to talk with this dynamic and enthusiastic lady about how she envisions the future of Silsal Design House. Your mother told me the history of Silsal (see Reem Habayeb’s interview), but for the present and the future she asked me to turn to you, as you are now leading the company from Dubai. Yes, we moved our head office to Dubai, and the expansion we are making and the new direction we are taking for SDH (Silsal Design House) are all going to be based in Dubai to serve our fast growing customer base in the Gulf region. We have also expanded where we will be producing our collections – so that we maximize what we get in terms of quality and local expertise as well as most effectively manage the costs to deliver the best products to our customers at the best price points. So whereas our handmade ceramic collection will continue to be produced in Jordan, some pieces from our furniture collection will be produced in Dubai, whereas others will be done in Asian countries, including India and China. Basically, at SDH, we are hoping to eventually become the go-to home/lifestyle store in the Middle East. We’ve always been known for our ceramic collections, which has shed light on Arab literature and calligraphy. But today our focus is going to start shifting towards designing and producing trendy, fairly priced products, which include dinnerware, home accessories and furniture; and within this, we will have an upscale product range, which consists of collectible pieces at higher price points, which is going to be called SDH Signature. This will be our catwalk collection and will be made in the atelier in Jordan. This high end collection will be produced on a smaller scale, all hand made, very intricate, limited edition pieces, collectors’ items: they are basically art. The rest of our collection will be more commercial. Often this word gives the wrong impression; the pieces will be commercial in terms of price points but not in terms of design and quality. Why did you choose Asia? Aren’t there countries that are closer with the same level of craftsmanship? First of all, we needed to find a place where we could have access to all the new technologies out there in order to improve our products. We wanted to shift to porcelain as the main material, but keeping the same effect as our current production. Usually porcelain is very shiny but we have made sure that it is not like that: it actually looks like stoneware but it’s porcelain. It’s more chip resistant; it’s lighter; it’s easier to clean on the inside because it’s a bit more glossy. Generally, it’s something also people prefer in this region. It’s been marketed as a user friendly material, and Asia has been our best option both in terms of access to new technologies, access to different materials and costs. Honestly, I’ve seen a work ethic there that trumps any other work ethic I’ve seen. There’s always continuity, willingness to work: they are hungry for growth! We also have access there to acrylic, wood… We have really diversified the materials we are working with. And as far as the craftsmanship is concerned, you need to be stringent with the priorities you’re looking for. I’m not exaggerating: a single Arabic coffee cup took me eight months to perfect over there! But it’s OK because once you invest all your time and money into perfecting that one thing, it takes off from there. You can then copy and paste it and you’re done. You don’t have to go through the learning process over and over again! Is empowering women still at the centre of your DNA? I try really hard not to look at the challenges I face day-in and day-out as women-related, and I try not to make my business decisions around that. We have several women working within our company who are the main breadwinners for their family – and it is great to know. But they are not there because they are women… they are there because they are hard-working stellar employees,, who deserve to be there. 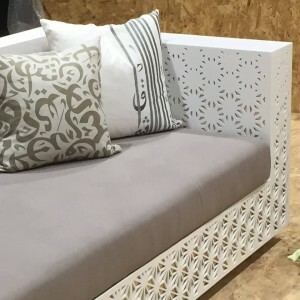 Concerning the broadening of your product line, it used to be about cups, vases, plates, and now you will be adding furniture… Are you aiming at developing a lifestyle brand? We are aiming to become a leading manufacturer of trendy homeware accessories and furnishings in the Middle East. We want to make sure we have that fashionable home decor where people look for “What’s the trend today? Oh let’s look at Silsal.” Because there’s really no place that coming out of the Middle East that sets trends! Until today, for instance for fashion, people look at what all these design houses from the West tell them. Here we have a different culture; we have different things that we use. I mean, Arabic coffee cups are not so commonly used in the West as they are here. 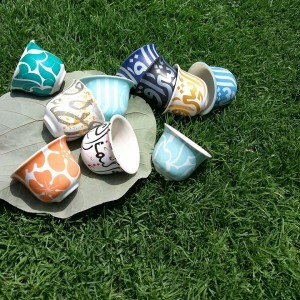 Today where do you go when you want to find trendy Arabic coffee cups? People always want to feel like they know what’s coming next and they want to look at people who tell them what’s coming next, how to decor their home, how to furnish their home. I think that’s missing in the Middle East and that’s what we’re trying to be; sort of like William Sonoma, Pottery Barn… that sort of lifestyle brand. You go to that shop and you already kind of have a personality just by going to that shop. You know how Pottery Barn positioned itself with “Friends”… So I want people to come to Silsal Design House and feel they belong and feel their own niche. And we offer several collections: they are not all arabesque. Some are more floral, modern and abstract. We want people to feel that if they need to furnish their house they can find a solution, A to Z. 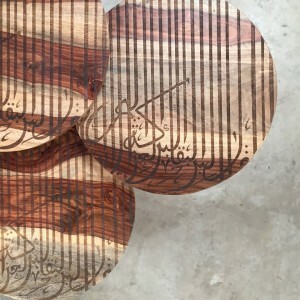 We feel there’s a market for Arabic calligraphy but not in a very classical way: they want the new Arabic calligraphy styles and that’s what we keep offering people. And so do you intend to develop your own network of shops? Yes, we currently have a distributors’ network in the GCC: we have distributors in the UAE, Bahrain, Qatar,, Kuwait, Saudi Arabia, France, and the United Kingdom. We have also recently launched our online shop (Silsal.com), which offers worldwide shipping. It has been quite a success until now! Our store in Amman will be refurbished next year and we plan to open a store in Dubai in 2016. Exactly. Dubai is now like a brand. You know, when I went to China, I was looking for a hotel in Shanghai and I found that there was a Jumeirah – so I definitely chose it! It has almost become like a Four Seasons, which guarantees a service of some sort. And it’s the same with Dubai: it has branded itself! It has treated itself like a brand and it’s amazing! What’s the profile of the consumer of design in the Middle East? Who buys design? There are two different types of design: design of the object and design on the object. We consider ourselves as designers because we are putting beautiful things on a functional piece. This is by no means “design” in the sense Scandinavians are working on: the most minimalist, stable in terms of form and structure and the purity of the design. I think we are on a different level at this point. I think there is a market for it. Definitely the up and coming generation wants these things. 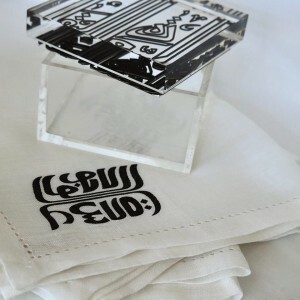 And even people from the West coming to live here want refined Arabic design on their everyday ware. The financial sector is already set up; the real estate sector as well. The design sector is still immature, I feel, and Dubai, of course, is working on that and it’s catching up quickly! They have recently developed Dubai Design District (D3) and that’s where we are registered. Through this, Dubai wants to create a new hub for design in the Middle East. The offices we are currently opening in D3 are quite big and will look and feel like a home and this is important because we want the staff to experience what we are creating for the home, to feel and live the Silsal lifestyle. And took a big part in Meet D3 this early April. It was fantastic a real melting pot of creativity! And they also have Art Dubai at the same time as Design Days Dubai. Yes, and people are picking up on it. Saudi Arabia recently held a Design Fair. So, in Jordan we need to be more exposed. As a designer it’s not only about you; it’s seeing what is out there and trying to be up to par with that. This is something Jordan needs to work on. And funnily enough, IKEA starting in Jordan is, I think, maybe a good thing for exposure because the typical furniture the average person would buy now in Jordan is extra-ornate, dark wood with gold. I think that IKEA is a window on what is out there! It does not need to look rich to mean that it’s rich in design. It doesn’t need gold! It can be as minimalist and as pure as a piece of wood, no paint and it’s just beautiful! And IKEA offers that. So I hope that this will reshape the thinking of a lot of people when it comes to their household items. Yes, and I feel IKEA will do that in Jordan: they tell you how to use that plain piece of wood; they have a lifestyle experience over there. Definitely – one of my favourite brands! If they opened in Jordan, probably no one would enter that shop! But everything is related to education and having access. Dubai was rich enough to bring everything home for people not to have to leave, while in Jordan the average person cannot afford to leave to see galleries, museums, to understand art and culture. But things have been changing lately. Besides the Middle East, do you target other markets? Of course, and our dream is to be a global brand. One of our main priorities is educating the West on the beauty of Islamic art and literature. In the past years, we have seen tourists coming to Amman and looking to take a piece of Jordan back home with them. But now with our new collections – we are seeing a major shift. Over 50% of our online sales today are for the US and Europe – and they are asking for dinnerware, serveware, coffee and tea sets, decorative items – anything really. We feel that our collections have really struck a chord, connecting Arabesque designs with global impact. D3 or Dubai Design District is a new neighbourhood, ambitioning to be the « Shoreditch of Dubai ». It will offer a mix of office space, flagship stores, boutiques, galleries, workshops and artists’ studios. Meet D3 was a 3-day event to introduce D3 to the large public. It was held on April 2-3-4, 2015. IKEA opened its doors in Jordan in March 2014.